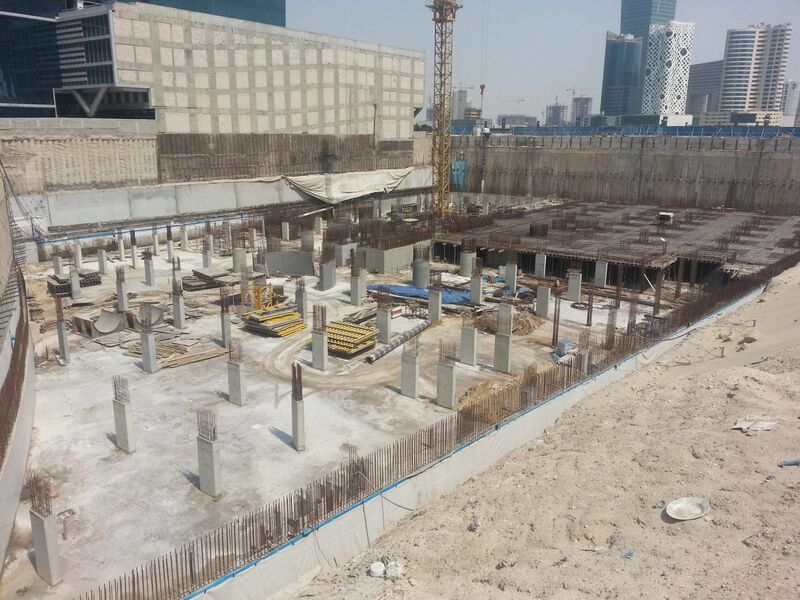 WJ Groundwater have considerable experience dewatering basements in business bay, Dubai. The Skyscraper Tower is a great example of where deepwells have been successfully used to control groundwater levels on site. 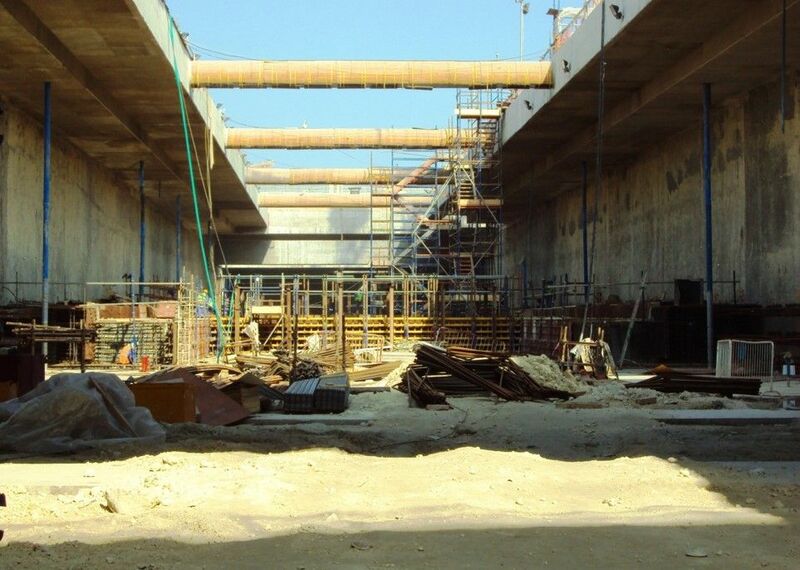 This has allowed the client, Al Arab Contractors and Al Attar Properties, to construct a deep basement next to open water. 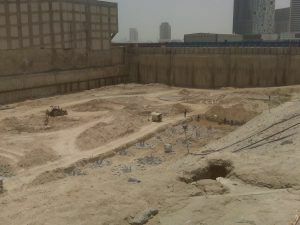 The site is next to the future path of the Dubai Water Canal and is in a prime real-estate location. 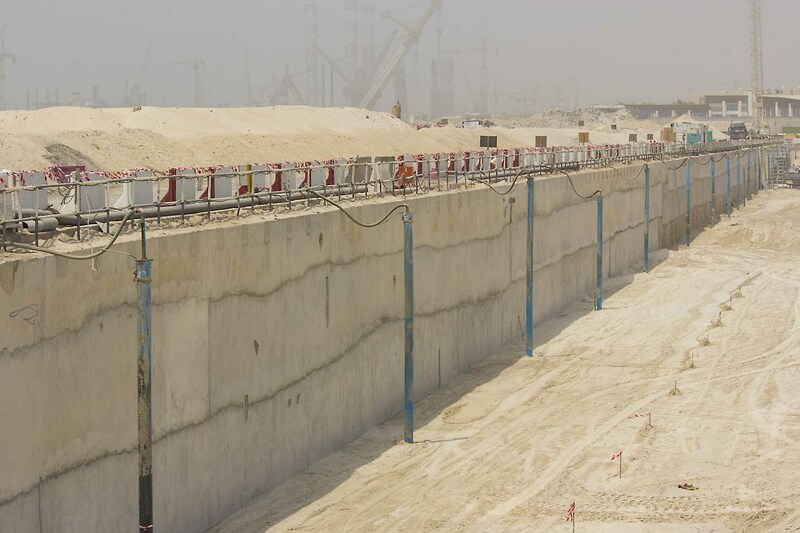 To maintain excavation stability the dig has been shored with a combination of diaphragm walls on two sides including along the canal edge, secant piles on one side and open cut on the remaining side with a battered slope. To achieve the drawdown in the 25m deep basement internal deepwells fitted with high efficiency electric submersible deepwell pumps are operated from a central control cabin. 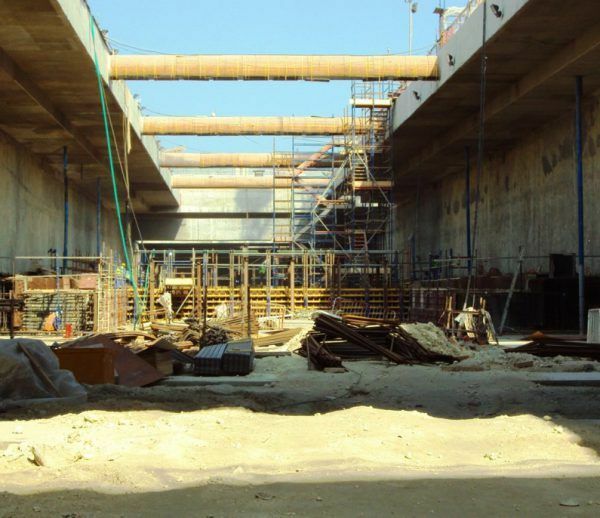 WJ were awarded the works as we confidently proved to be a cost effective solution that met the requirements of the client and main contractor for a low maintenance and reliable dewatering solution. 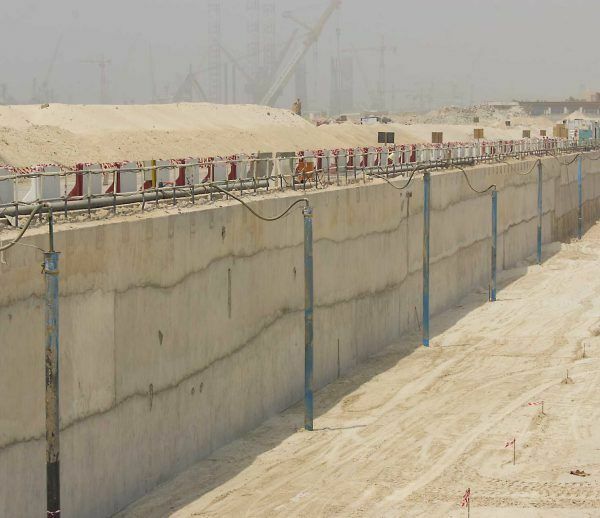 Our considerable experience gained dewatering basements, shafts, bridges, tunnels and now the Dubai Water Canal allows us to bring confidence and low cost solutions to future projects along business bay and the Dubai Water Canal.